Firstly, it came with one of the home-baked butter biscuits dusted with icing sugar upside down on the plate. Secondly, the sugar topping was under caramelised with some of the grains undissolved. 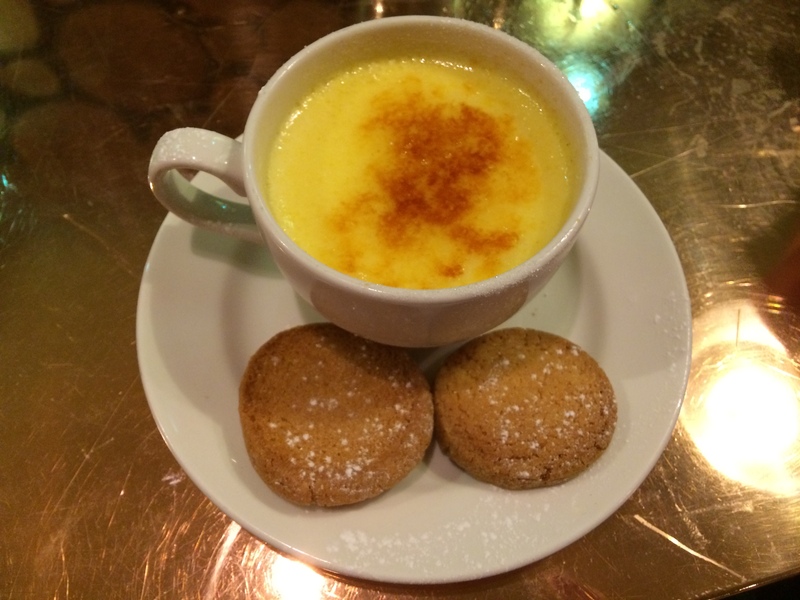 The custard was however light and a little on the sweet side but it was certainly not heavy or curdled. My final comment concerns the basic temperature of the custard before the caramelisation occurs. In my view, it should be room temperature although I’m sure there will be some food health guidance which would recommend against this… This one was fridge cold. 6/10. It’s quite odd growing up in one part of the country to then live in another part for much longer. For me, it asks the question of where you really call ‘home’. Coming back to your place of birth catapults the mind back to friends, experiences, loves lost and won and in my case, many a late night in Sheffield’s Leadmill before heading to Chubbys kebab shop for a high quality protein and carbohydrate based recovery meal. Those from Sheffield will know what I’m talking about. 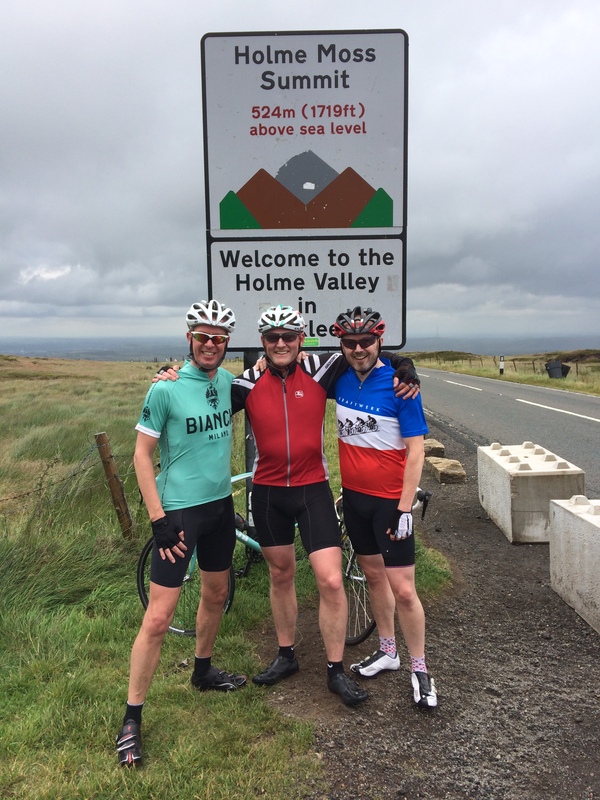 The third day out was a fairly lengthy 70 mile affair taking in the near vertical Winnats Pass (thankfully down not up it), the scenic Hope Valley, Monsal Head and a quick lap of the Chatsworth Estate before heading back to base in Buxton. 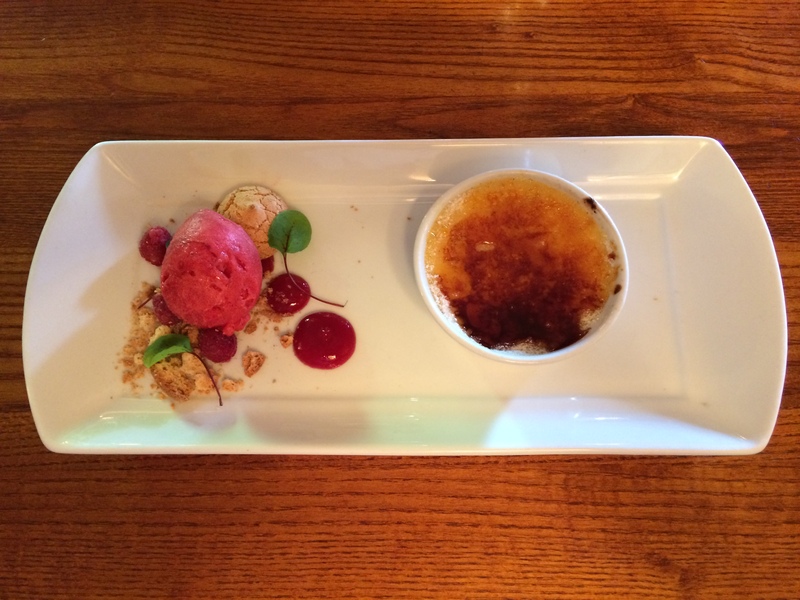 Of course, lunch was a mandated stop, so we took advantage of the well-known Chequers Inn at Froggatt and their dessert menu. Sadly, the brûlée did not reflect the expectations set by the main course. The custard was too thick and heavy, perhaps caused by one too many egg yolks; the sugar was grainy not fully caramelised and way too thick; the small ramekin was much too small in relation to the large plate it was served on and was fridge cold rather than room temperature. That said, the raspberry sorbet was an excellent foil for the rich custard and crushed amaretto biscuits were a nice touch. 4/10.